Threat and risk assessments for organizations that need to protect intellectual property, personal information or other high value corporate assets. Vulnerability assessment of security program performance against regulatory and industry best practices, to identify vulnerabilities and to recommend adequate and appropriate security countermeasures. Open Source Intelligence collection and analysis to support threat evaluations and competitive analysis. Evaluation of information security program against industry standards and best industry practices, such as CIS, COBIT, NSA and Canadian GSP. 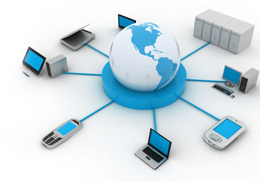 Technical evaluation of Networks, Network Access Control (NAC) devices, servers and hosts. Act as your corporate security resource to assist your management team with risk mitigation and response actions. Local configuration and Remote management of your security, firewall, intrusion detection, anti-virus and content control software. Incident Response to intrusions, system failures and other harmful data loss events. Development of policies and procedures defining security programs. Development of Disaster Recovery and Business Continuity Plans. Performance standards for security countermeasures. Preparation and delivery of initial and refresher security training courses for security personnel and other employees. Conduct of technical penetration tests to determine the effectiveness of security systems and policy compliance activities. Conduct vulnerability assessments to determine the effectiveness of system and network security measures; and evaluate policy compliance activities. Provide structured vulnerability and recommendation reports to support cost-effective management decisions.